This semester, a BYU-Idaho student loss $7,700 to someone claiming to be from the Internal Revenue Service, and police say this student is not alone. Lt. Ron Ball, a detective with the Rexburg Police Department, says they receive anywhere from five to 10 fraud reports a week. He said scammers target students and elderly the most. “I think that sometimes a lot of these people will pick on college students because it’s their first time out of the house, and some of them tend to be pretty easy victims,” Ball said. Ball said an unfortunate problem is once these individuals are scammed, police are often unable to get them their money back. He says a lot of the money scammed is routed outside of the United States, making it nearly impossible to recover. The scammers will often call and tell the individuals they need to buy gift cards and give them the number on the card or else the police will place a warrant out for their arrest. He said the caller will frequently have the individual stay on the line as they drive to the store, purchase the cards and then give them the information. The calls are often convincing to people because they will have basic information online about the victim such as living in Rexburg, Idaho. Ball said his name was even used once by a scammer placing a call to an individual in Rexburg. He said if you don’t know the individual asking for the money, chances are it is a scam. He says those running these scams are getting good at it, and all it takes is one individual to fall to their scam to make a good payday for them. He says people are becoming all too comfortable making purchases in the digital world without meeting a person face to face. “Don’t do it is the best thing I can tell ya,” Ball said. He said no law enforcement agency will ever call you saying you have a warrant for your arrest and demand money. Rexburg Police Detective David Stubbs said their whole scam is based on a fear tactic. 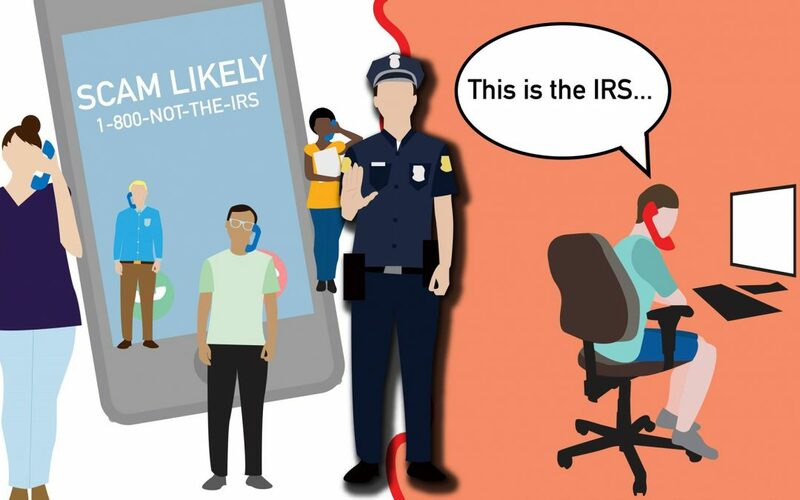 For more information about not falling victim to a scam, visit the IRS website.